At the end of the 19th century, Milan is a vibrant city: trendy cafes, theaters, electric lights create an exciting urban landscape. Here the brothers Giuseppe and Piero Cella open a factory dedicated to the uprising beauty rituals. The current fashion says that gentlemen must be well-shaved and sport twirled mustaches, while ladies should wear little makeup, just a veil of powder and a natural-tone lipstick. From Paris comes a beauty style inspired by sobriety, able to bring out the maximum pragmatism of bourgeois life ("bourgeois women don't do make up, they just fix themselves up”, say the gurus of the time). 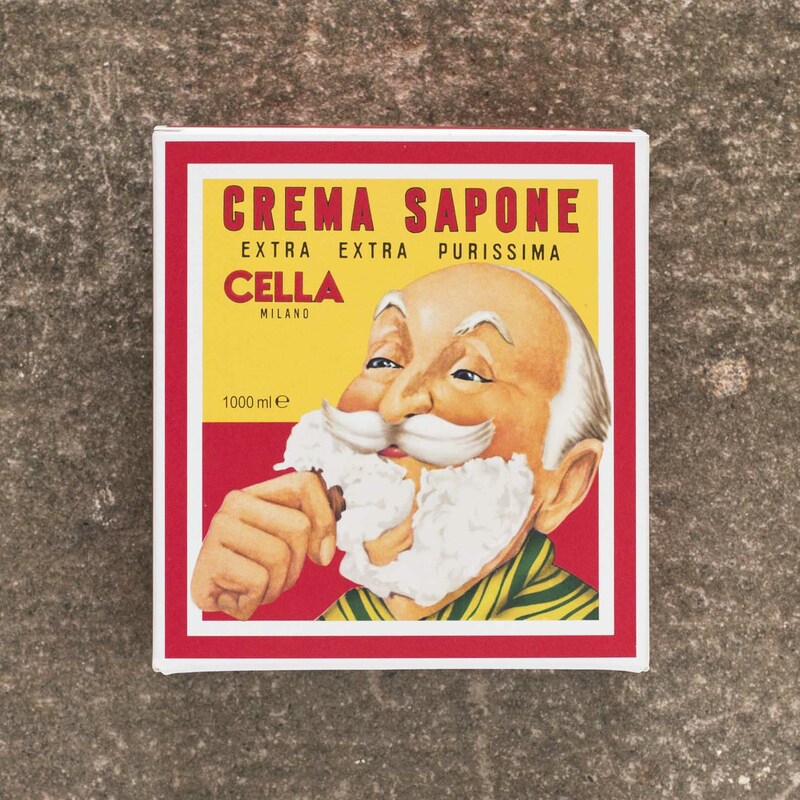 The Cella brothers observe the changes in taste and create everything people need to respond to the trending social needs: soaps, perfumes, enamels, lacquers and brilliantines. Soon, their flagship product becomes shaving cream: men need to mantain their face smooth and well-shaved all through the day, despite the frenzy of modern life. From Paris to London, new barbershops open everywhere, and shaving becomes a focal point of social life: men meet at the barbershop to exchange ideas about politics, news and sport. In Italy, Cellas decide to focus on a high quality product: they choose the best ingredients and cook them slowly using the open-air boiler method from Marseille. After cooking, the soap is seasoned for a few weeks to drain excess water and obtain a highly concentrated product. In order to stand out from the crowd, they ask their illustrators to create a box that can catch the eye even in the most elegant shop windows. The result is a cherry-red background on which stands a man in a fluffy cloud of soap. But the real masterstroke is to show him in his pijamas, thus consecrating the private ritual of morning shaving, destined to become the norm. In the 70s, Nicky Chini, a perfume company founded in 1920 by a Milanese tailor, acquires the property, striving to preserve the original brand. Today the company continues to make the shaving soap and and an entire line dedicated to men's grooming. A cult for connoisseurs from more than a hundred years ago.